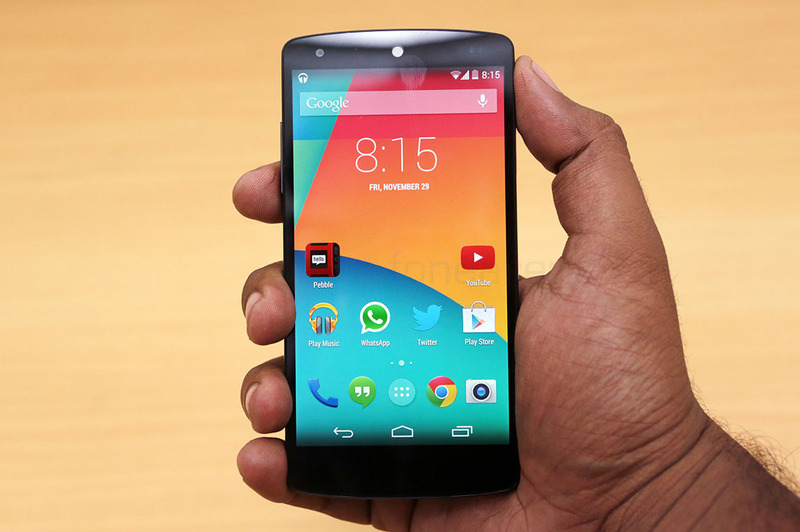 Google Nexus 5 has started receiving Android 5.1 Lollipop OTA update in India. The company had released Android 5.1 factory images for Nexus 5, Nexus 10 and Nexus 7 (WiFi) last month. The 5.1 Lollipop update weighs 220.7 MB and has the build number LMY47I. It is now available to the Nexus 5 users for download and Google said the upgraded version “improves performance and stability and fixes bugs.” The update is said to aid to improve upon performance via an enhanced ART (Android Run Time) that according to Google will make apps open faster than before. There is a new addition to the update that lets Nexus 5 users can to search for different Wi-Fi and Bluetooth connections directly from the ‘Quick Settings’ option in the notification panel without opening the ‘Settings’ page. In addition, issues with “Okay Google” have also been fixed. Other tweaks include option to change system volume while playing audio; improved heads-up notifications; improved HD voice-calling and battery life among others. It is also said that there are minor changes in the UI has icon size has reduced thereby making them sharper. The Lollipop 5.1 Android update is gradually rolling out to users. You can manually check if the update is available for your handset by hitting: Settings>About phone>System update>Check for update.